I totally agree. A loincloth (single word in English) is very very short, and often shows the backside. A kikoi is usually quite long and modest. It is a full wrap-around for the lower part of the body, usually for men. I would just use "kikoi" as was done for kanga and kitenge. I agree with you both. Loincloth is a bad translation. In fact, if anything it is closer to a traditional old Scottish small kilt — that is a cloth wrapped around your waste. it just isn't thrown over the shoulder and pinned like a great kilt. I wore them often in Lamu in Kenya. 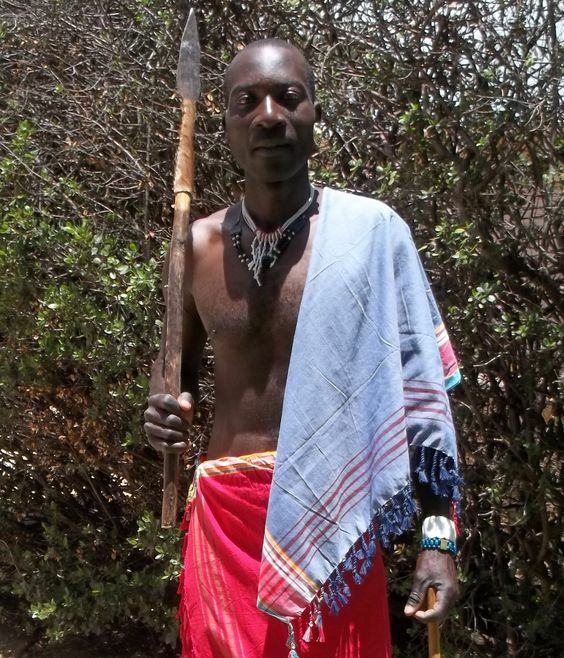 interesting you say that, some of the traditional dress of the masai in Tanzania was introduced by Scottish missionaries in the 1800's apparently (who thought they were 'too naked'). OK, so "loin cloth" is no longer the recommended translation nor is it accepted, but now the exercise is just to translate "kikoi" into "kikoi", which I find rather pointless. i don't know what it is in Tanzania, but it certainly its NOT a loincloth in Kenya. The woman who wear them as covers, and carriers for their babies would be horrified! They are a light cotton large rectangle, colorful and easily tied to carry their babies. Why is it now Kikoi translates as Kikoi and not loincloth as the dictionary hints indicate. What is the clue that I'm missing? As indicated by others here loincloth is a bad translation. As far as I know, a kikoi is a garment worn by some men in the coastal regions of East Africa, and is similar to a traditional sarong. Some kikois are actually a sheet of cloth doubled over and sewn together joining two edges, so that you have to either pull it over your head, or possibly step into it. Then you wrap it around you, making an extra folds in front -- there's lots of spare cloth -- for additional modesty. It is nothing like a loin-cloth.